Question– Why would God create Lucifer who He knew would turn out bad and would tempt Adam and Eve to sin… that exposed all of creation to original sin and separation from God? My answer-A.) Because… God knew it had to be done because of His Holiness and His nature and also for unknown reasons that we can’t understand now. B.) A very important part to this answer is that …”He knew He was going to come down and Himself and make a way for us to be put right with Him”. He provided a fix for the problem…He made a way of escape…He made a way for us to be sanctified. We were rescued…we can be saved. Jesus paid the price for my life and yours. God had a plan for the creations he made! He didn’t do this whole human thing and then go….whoops! He’s God…He doesn’t make mistakes. He knows what He’s doing….we don’t…..we don’t understand Him or His peculiar ways at all. All we need to know is …that God knows what He needs to do for mankind and He knows what His born again children need also. 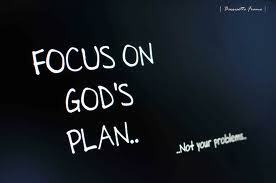 Psalms 33:11 But the plans of the LORD stand firm forever, the purposes of his heart through all generations. 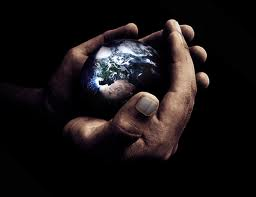 There is a song that’s so fitting…..”He’s got the whole world in His hands”. Yes He does! God is not confused…He is not bipolar….He’s not forgetful….He’s not on vacation….He’s not out of money….kryptonite hasn’t stripped Him of His power…the devil doesn’t have Him hoodwinked….there is nothing wrong with God!!! He has plans…perfect plans. Are we going to trust our incredible God or not? Are we going to be struck with fear every time something negative happens? Today on the news… there has been nothing but heartbreaking things that have happened. God said these kinds of things would happen. These unfortuate events didn’t surprise Him. He gave us help….a living and Holy book…the bible which is His words to us and His Holy Spirit and to help us during these difficult times. He told us to cast everything that distresses us on Him. He said He would never leave us. Are we going to believe what He has said to us? Will we truly trust Him? We don’t have to worry about the sin that came into the world. 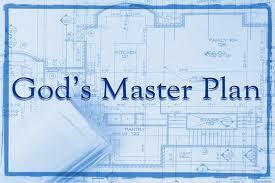 What mankind needs to worry about is… are you part of God plan to make you part of His Family? This Christmas we celebrated the birthday of His perfect plan called Immanuel….God with us. His name is Jesus Christ. God came to earth in the form of a man to put us right with Him. All we have to do is repent of our sins and believe and accept His Son Jesus Christ and then live the rest of our earthly life that is pleasing to God. Why did He go through all this trouble???? Why did Jesus pay such a price? BECAUSE God LOVES US…IT’S ALL ABOUT LOVE!! 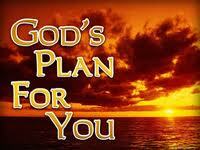 Message for today: God had a plan….He became a man….The Man became a Lamb…So I wouldn’t forever be banned…. from that distant land….By faith I took a stand…I know heaven will be grand…..Do you understand….that you have to know that man….Jesus?